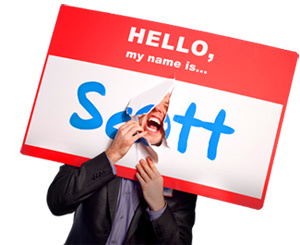 How to Create an Attitude of Approachability - HELLO, my name is Scott! It’s simple: you flood your mind with positive thoughts. You enhance your self-belief. You change your attitude. You feel better. You see results. I could’ve answered him in any number of ways: find a common point of interest, make others feel comfortable; maintain personal availability and the like. But if you really want to get down to the nitty gritty, the essence of what approachability is truly about, I’d say it all starts with attitude. I know. Totally cliché, right? Typical self-help answer. Start with attitude. Pshhhttt! But it’s true! You can’t approach, or be approached by other people unless you have the right attitude. 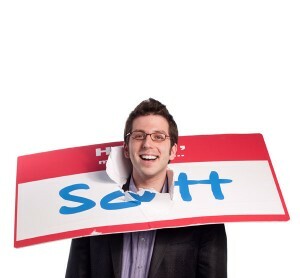 Here’s how I know that: I’ve been wearing a nametag 24-7 for six years, just to make people friendlier. And after traveling around the world giving speeches and writing books about my experiences, I’ve learned that my nametag would be utterly useless if I didn’t have a great attitude to go with it. Now, where do you think that attitude came from? And you know, I felt pretty silly the first few times I did it. Hey, most people do! But I submit to you that the greatest attitude building habit I ever undertook was to begin my day with daily affirmations. So, what you’re about to read is a collection of positive, attitude building affirmations that will help you self-talk your way to increased approachability. •I am an approachable professional. I can both approach – and be approached by – important people. •I choose to maintain an approachable attitude. I believe that every encounter is one in which I can learn, help others and expand my references, networks and experiences. •I feel relaxed. When I engage with customers, coworkers and friends, they are put at ease and feel comfortable when working with me. •I am confident. When I walk into a room, my smile, body language and appearance project happiness, enthusiasm and joy. I’m sure that wherever I go, I will meet new, cool people; I will learn new, cool stuff; and others will be glad they encountered me. •I am a great conversationalist. I ask intriguing, creative, thought provoking questions that give people permission to open up. I am skilled at started, sustaining, transitioning and exiting conversations with individuals and groups. •I am an even greater listener. I listen twice as much as I talk and make myself personally and physically available to others. I’m curious, not judgmental; and people known they can come to me with their ideas, problems, or anything else. •I choose to be easily accessible. People can get a hold of me without frustration. •I am attractive. Customers and coworkers are magnetized to me because of my superior attitude, ability to make them smile and willingness to assure that they feel comfortable. •Shyness is not a problem for me. No matter what my friends, parents, teachers or the media say, I can easily and comfortably engage with others over the phone, via email or in person without apprehension. • I have learned to recognize that fear is outweighed by benefit. Although stepping out of my comfort zone might be tough at first, it’s always worth it in the end. And even if I look like an idiot; I know that it’s no big deal, and that I’m better because of it. • I win small victories first. In order to develop greater communication confidence, I achieve success in smaller situations first. Then, when I’m faced with something bigger and harder, it is this confidence I draw upon to face these new challenges with enthusiasm and readiness.